While Quebec City is the political capital of the province of Quebec, Montreal is the economic and cultural center. 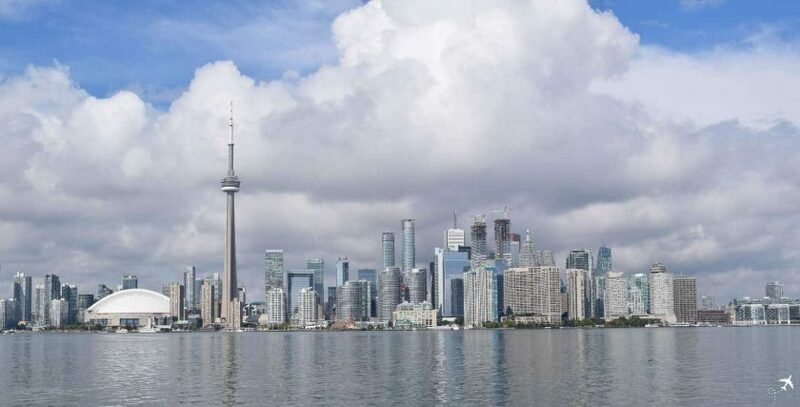 At the same time, it is the second largest city in Canada! Just like Toronto, Montreal is a pretty cheap destination for flights. Air Canada flies non-stop to Frankfurt/Main and Lufthansa flies non-stop from Munich to Montreal. In addition, there are many other connecting flights with stopovers in Europe or Toronto (mostly with Air Canada) as well as via the USA. Return flights for around 300€ (only hand luggage, checked luggage mostly 80-100€ surcharge) are a common sight. However, you should avoid the school holidays – especially the summer holidays! During this period, airfares quickly rise to over 500€ and reach highs of up to 1.000€ for a direct flight in economy class. Do not expect good deals during this time. The best times to visit Montreal are from March to May or from September to November. Thanks to comparatively mild temperatures and plenty of sunshine, these months are best suited for tourism. If you want to experience the Canadian winter you can also visit between December and February, but at this time you have to deal with weather restrictions. By taxi you pay a fare of $40CAD (approx. 27€) between the airport and the city centre. With the STM Airport Express (bus number 747) you pay $10CAD (approx. 6,70€) – the ticket is also valid on citywide public transit for 24 hours. The travel times by taxi as well as by bus depend strongly on the traffic and can take more than one hour during peak times.